In the four decades since his first book appeared in print, Terry Pratchett has become one of the world's best-selling and best-loved authors. Here for the first time are his short stories and other short form fiction collected into one volume. A Blink of the Screen charts the course of Pratchett's long writing career: from his schooldays through to his first writing job on the Bucks Free Press,; to the origins of his debut novel, The Carpet People; and on again to the dizzy mastery of the phenomenally successful Discworld series. Here are characters both familiar and yet to be discovered; abandoned worlds and others still expanding; adventure, chickens, death, disco and, actually, some quite disturbing ideas about Christmas,all of it shot through with his inimitable brand of humour. In the four decades since his first book appeared in print, Terry Pratchett has become one of the world's best-selling and best-loved authors. Here for the first time are his short stories and other short form fiction collected into one volume. 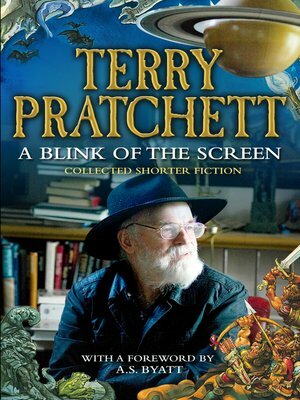 A Blink of the Screen charts the course of Pratchett's long writing career: from his schooldays through to his first writing job on the Bucks Free Press; to the origins of his debut novel, The Carpet People; and on again to the dizzy mastery of the phenomenally successful Discworld series.